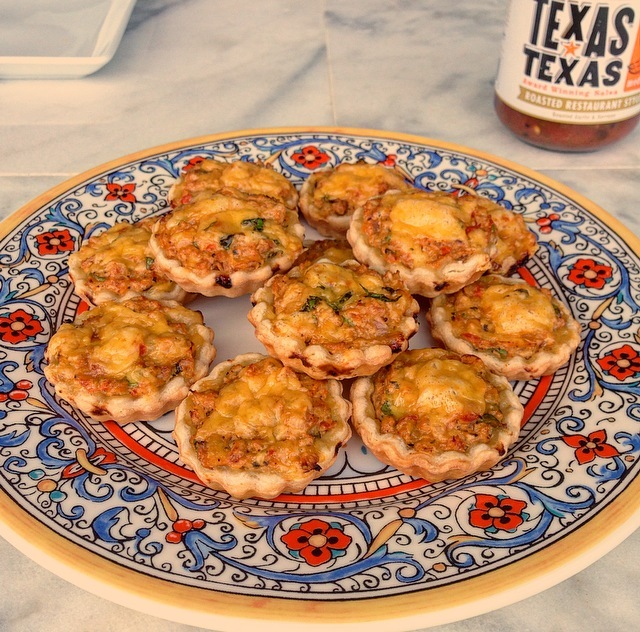 Sometimes the most wonderful things happen from leftovers…. 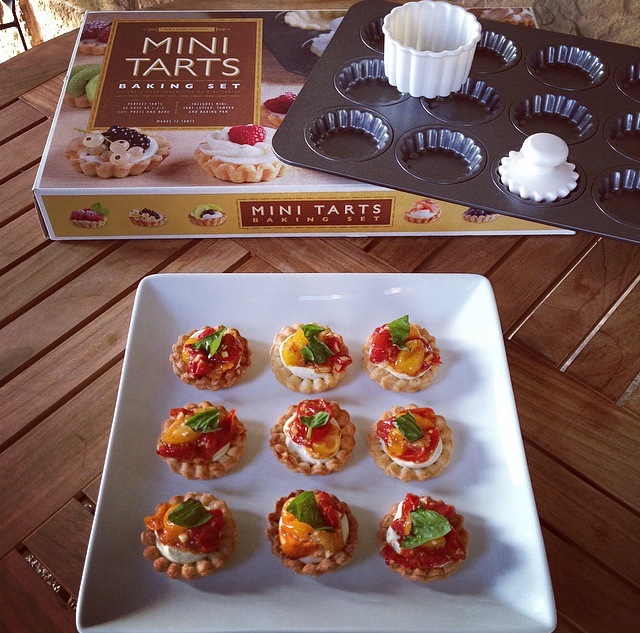 As I mentioned in the post Whipped Ricotta and Roasted Tomato Tart I recently purchased a mini tart kit at Williams and Sonoma. At first I was going to turn these chicken skewers into empanadas but then I saw my little tart pan. 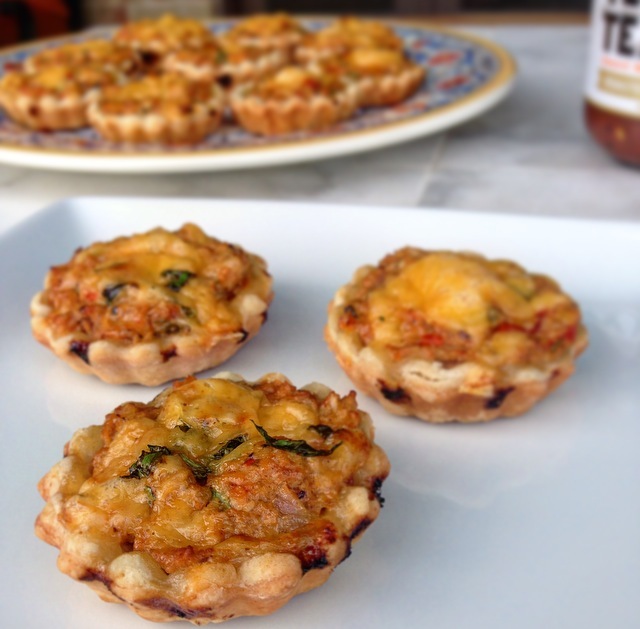 While I love empanadas, I know it would be easier and faster to turn these into little tarts. Warning though these tasty little tarts don’t last long…. The husband and I easily finished off an entire pan. How do you transform your leftovers into something new? Remove the grilled lime wedges from the end of each skewer. Slide the chicken and peppers from each skewer into the bowl of a food processor along with the juice from the grilled limes and 2 tablespoons of salsa. Run the machine until there are no large chunks of chicken or peppers remaining. Add in the chopped cilantro and grated cheese and run the machine until well combined. Roll out the pie crust and using the provided cutter cut out 12 pie crust then with the tamper press the pie crust into the well for each tart. 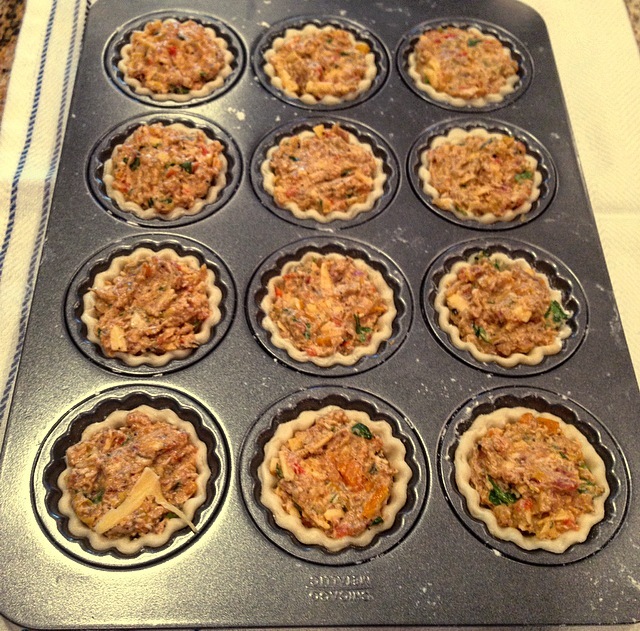 Fill each tart with a spoonful of the chicken mixture and top with a pinch of the remaining 1/4 cup grated cheese. Bake the tarts at 400 degrees for 20 minutes turning the pan 180 degrees halfway through. 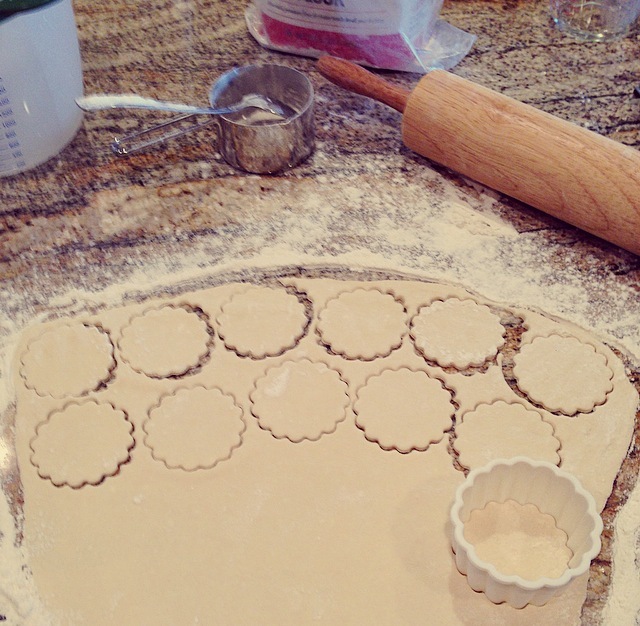 *If you don’t have a mini tart pan / kit use a 3 inch cookie cutter and a 12 cup muffin tin. WHAT A lovely tart tray!!! I neeeeeed one of those now! Those look adorable and delicious!! 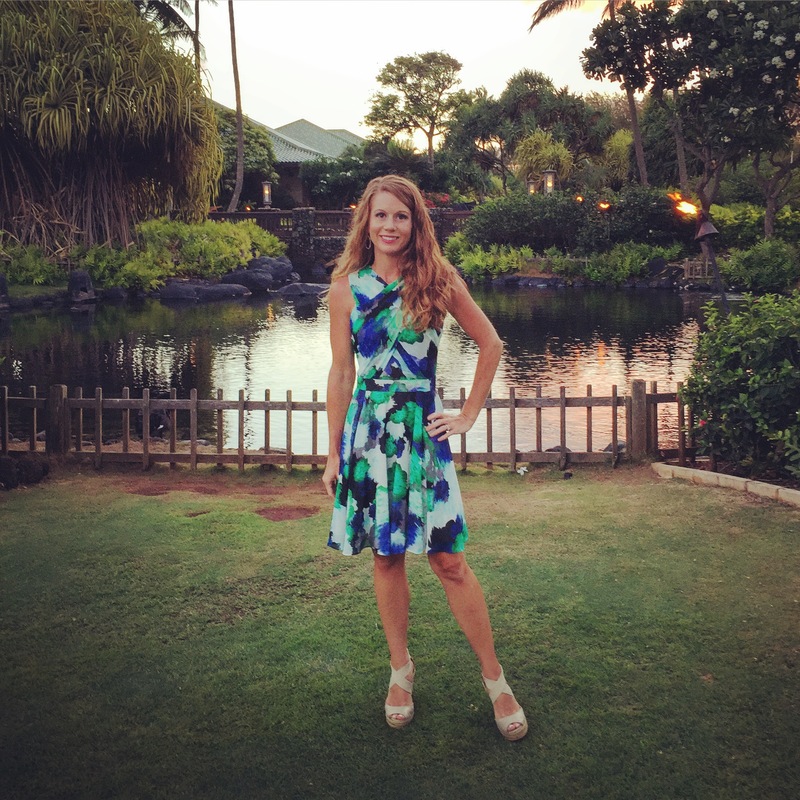 Will do Kathryn 🙂 we can do a food exchange next time… Tex Mex food for Northwest Seafood!! I saw this post yesterday when I was in a hurry and made a mental note to come back and comment because they look ssooooo delicious! I love the idea! Any kind of delicious food that can be turned into a finger food is all right in my books. Thanks Mel !!! Is it wrong I usually make extra food for dinner just so I can do something with the leftover?? I love playing mad scientist in the kitchen 🙂 especially when there is pie crust around!! Oh! 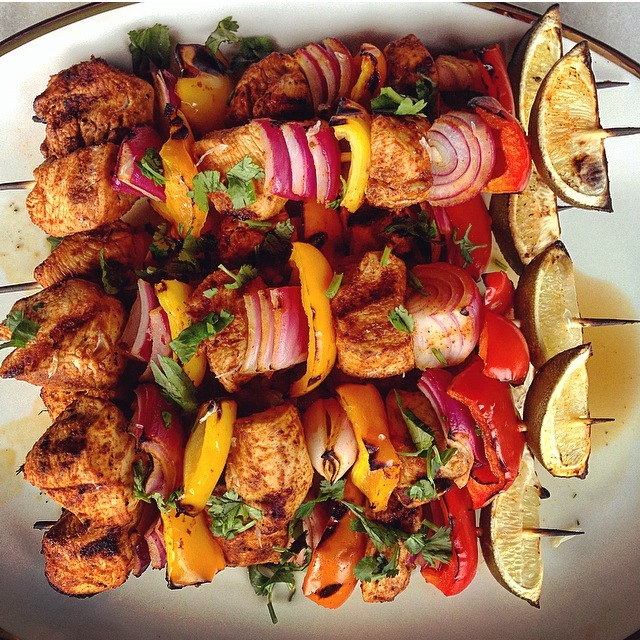 And those skewers! I’m drooling. Mel, I have just nominated you for the Liebster Award! These could not be cuter Mel!! 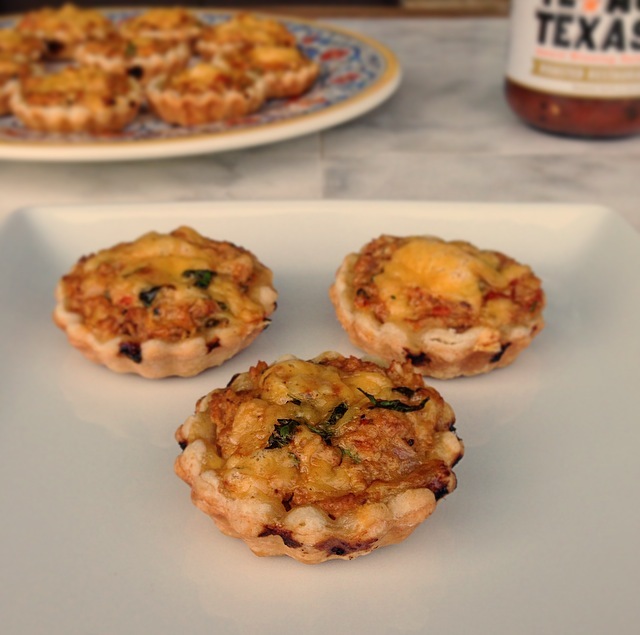 I never though of fajita flavors in a tart– but why not?! swap the tortilla for a little crust. What a fun idea! Thanks Rhonda 🙂 Sometime it’s fun to just throw caution to the wind and everything else into a pie crust. Great idea! Gotta try it next time I have leftovers.